Q-Connect Computer Label 102x49mm 1 Across The Web 6 Per Fanfold White (Pack of 6000) KF102491 Pack of 1 Q-Connect Computer Label. Smooth running labels for long print runs on high speed printers. Smudge resistant bright White labels gives you sharp accurate printing. 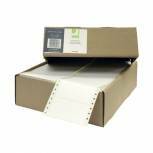 Tough backing paper ensures trouble free printing. 1 label across the web 102x49mm. Q-Connect Computer Label 89x36mm 1 Across The Web 8 Per Fanfold White (Pack of 8000) KF89361 Pack of 1 Q-Connect Computer Labels. Smooth running labels for long print runs on high speed printers. Smudge resistant bright White labels gives you sharp accurate printing. 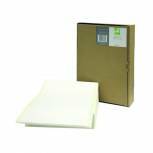 Tough backing paper ensures trouble free printing. 1 label across the web 89x36mm. Q-Connect Computer Label 89x36mm 2 Across The Web 16 Per Fanfold White (Pack of 8000) KF89362 Pack of 1 Q-Connect Computer Labels. Smooth running labels for long print runs on high speed printers. Smudge resistant bright White labels gives you sharp accurate printing. 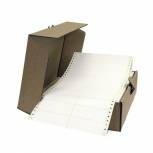 Tough backing paper ensures trouble free printing. 2 labels across the web 89x36mm. Q-Connect Computer Label 102x36mm 1 Across The Web 8 Per Fanfold White (Pack of 8000) KF102361 Pack of 1 Q-Connect Computer Labels. Smooth running labels for long print runs on high speed printers. Smudge resistant bright White labels gives you sharp accurate printing. Tough backing paper for trouble free printing. 1 label across the web 102x36mm. 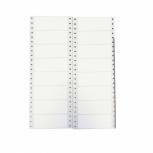 Q-Connect Computer Label 102x36mm 2 Across The Web 16 Per Fanfold White (Pack of 8000) KF102362 Pack of 1 Q-Connect Computer Label. Smooth running labels for long print runs on high speed printers. Smudge resistant bright White labels gives you sharp accurate printing. 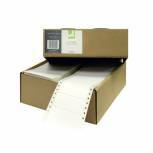 Tough backing paper ensures trouble free printing. 2 labels across the web 102x36mm.